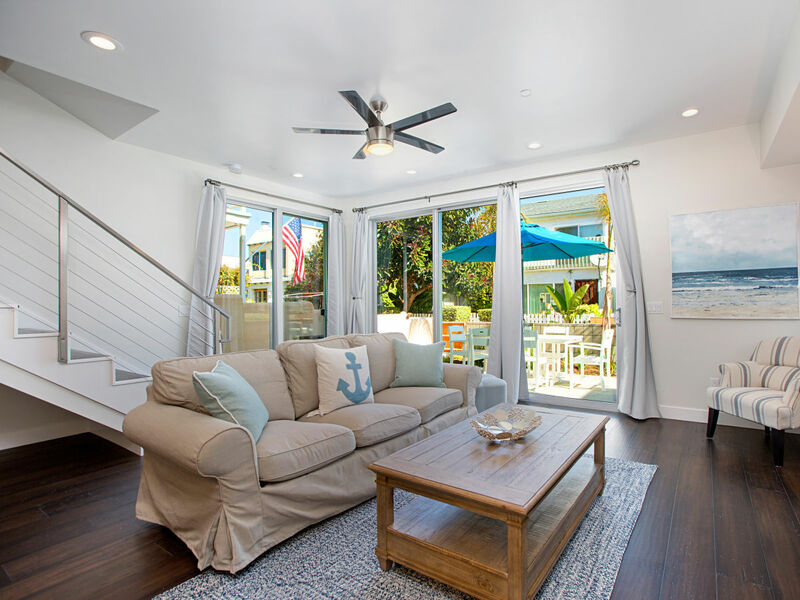 This wonderful brand-new beach retreat is the perfect place for a family or small group of mature friends. 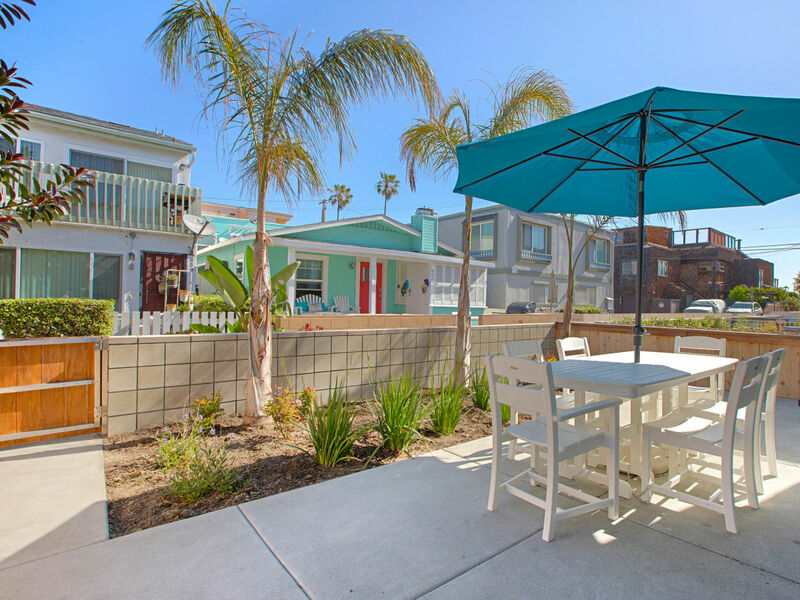 The newly built vacation getaway with its private patio is only 100 feet away from the bay and a 2 minute walk from the beach and offers everything you possibly need for an unforgettable vacation in beautiful Mission Beach. 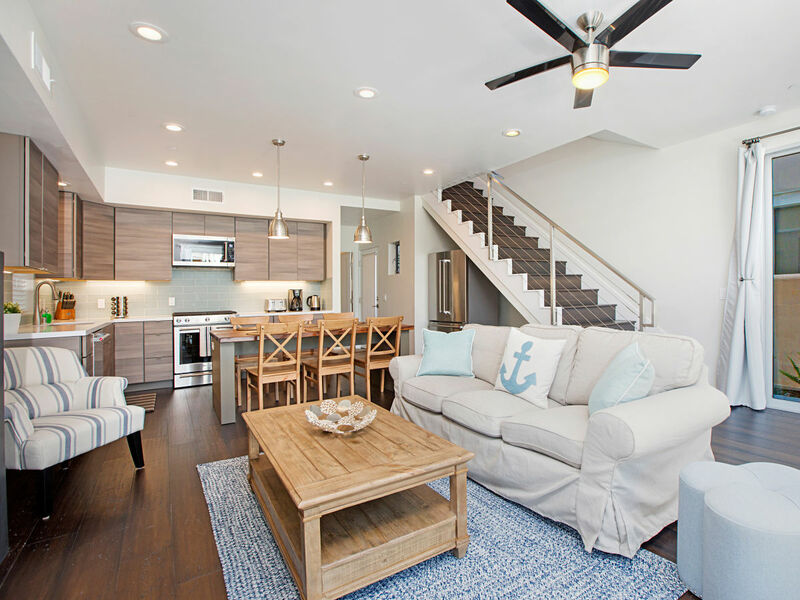 The stunning two story retreat offers brand-new furniture, comfortable bedding, luxurious bathrooms and finest appliances. 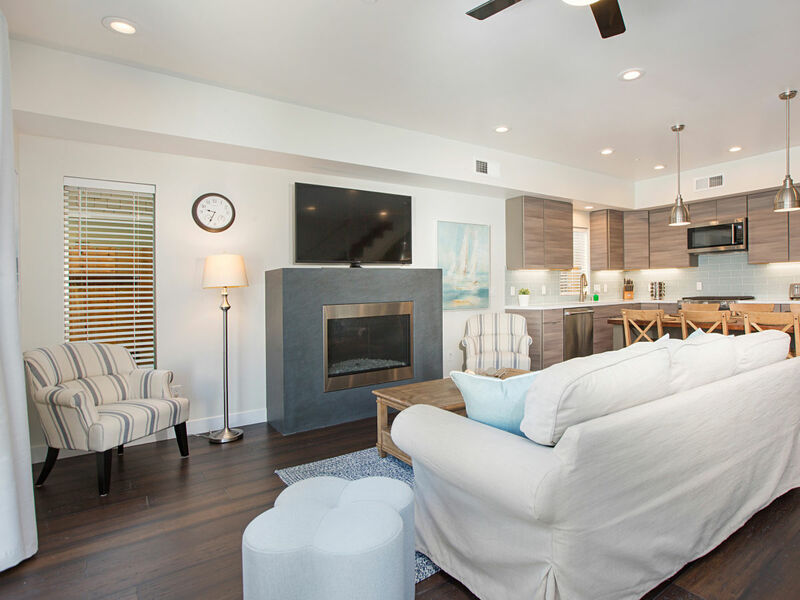 The first level of the house features a bright and spacious open floor plan with kitchen, dining and living area opening up to a fully furnished patio with nice seating, umbrella and gas BBQ. 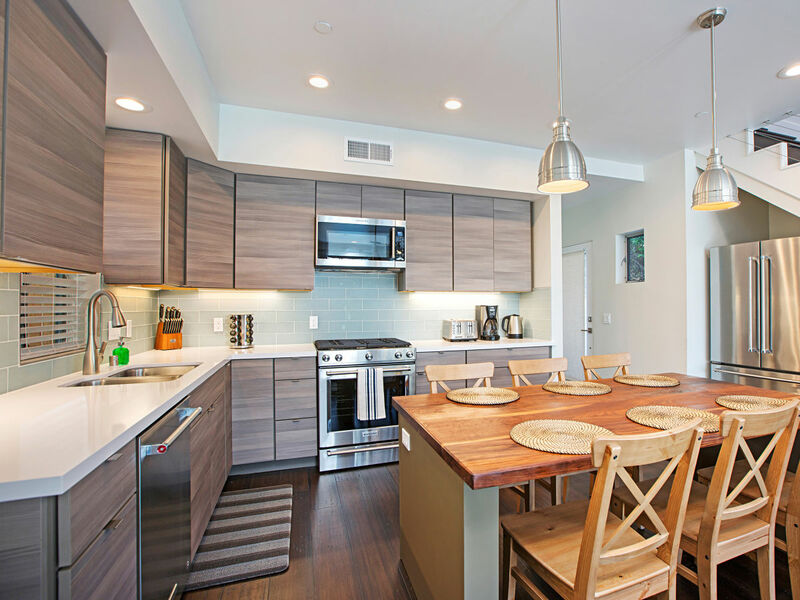 The kitchen is fully equipped and offers everything you need for cooking. The dining table comfortably sits 6 people. The living area is equipped with a couch, two chairs, TV and a gas fire-place. 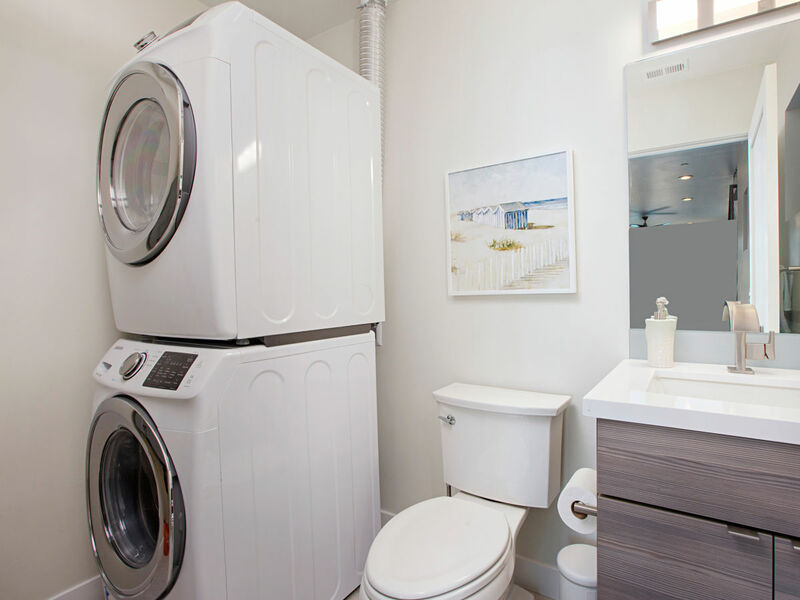 There is also a bathroom on this floor as well as a brand-new washer and dryer. 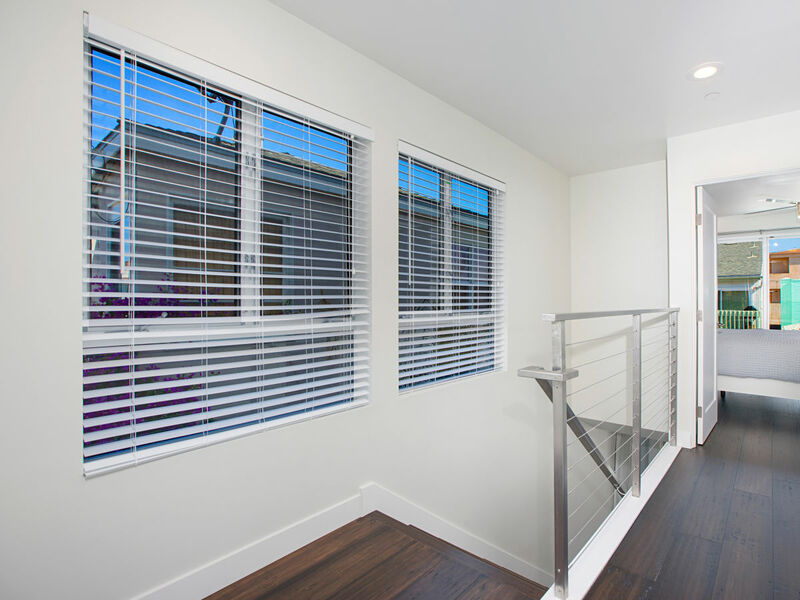 The second level features three bedrooms and two baths. 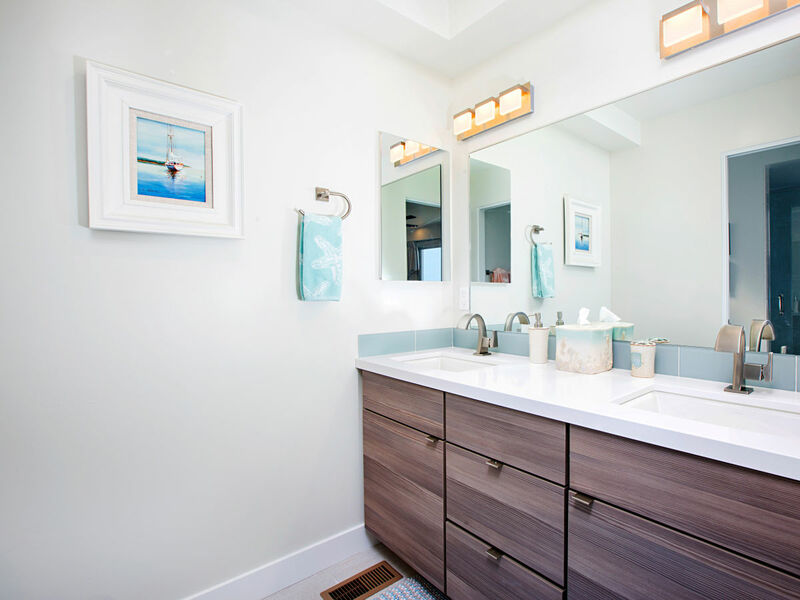 The Master suite has its private bathroom attached with a beautiful walk-in shower and two sinks. 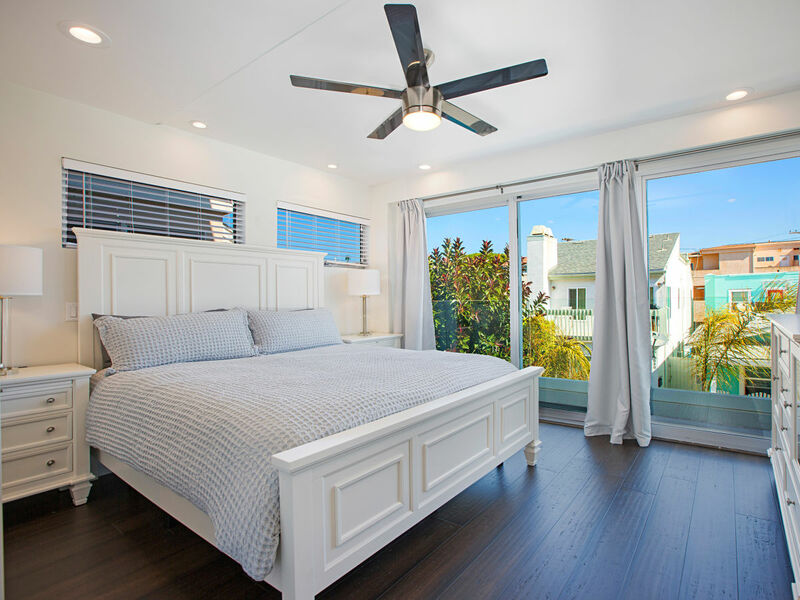 The Master bedroom offers a king bed, a dresser, TV, walk in closet and a very small balcony (stand on only). 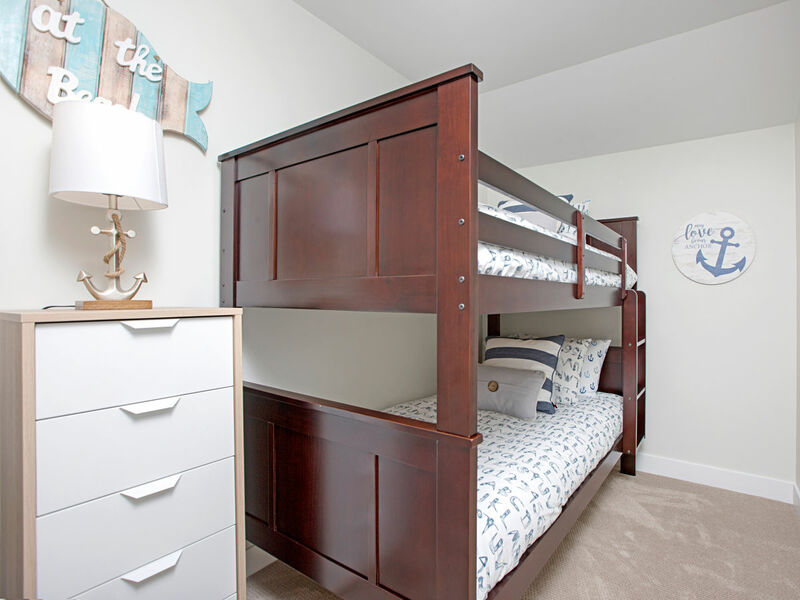 The second bedroom has a queen bed and the third a bunk bed with two single beds. 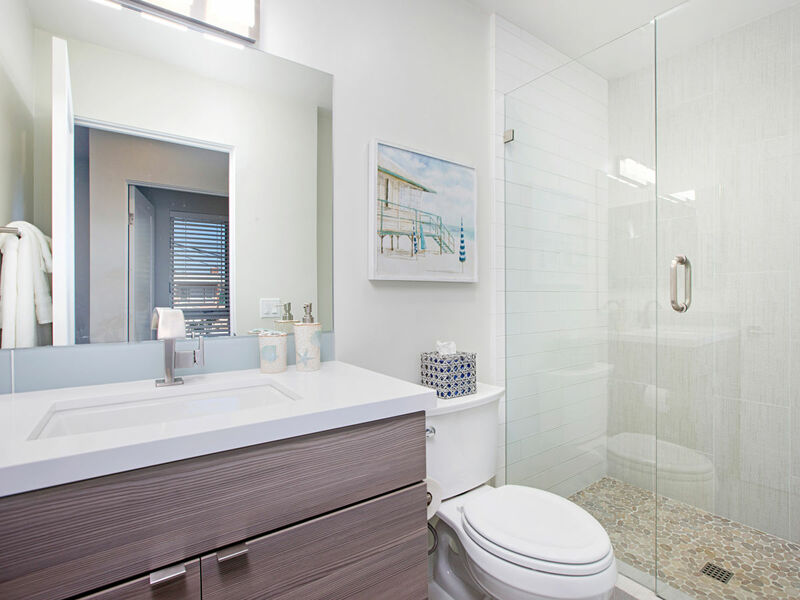 Both bedrooms share a bathroom with shower. There is also a pack n play as well as 3 fold mat (twin) available. 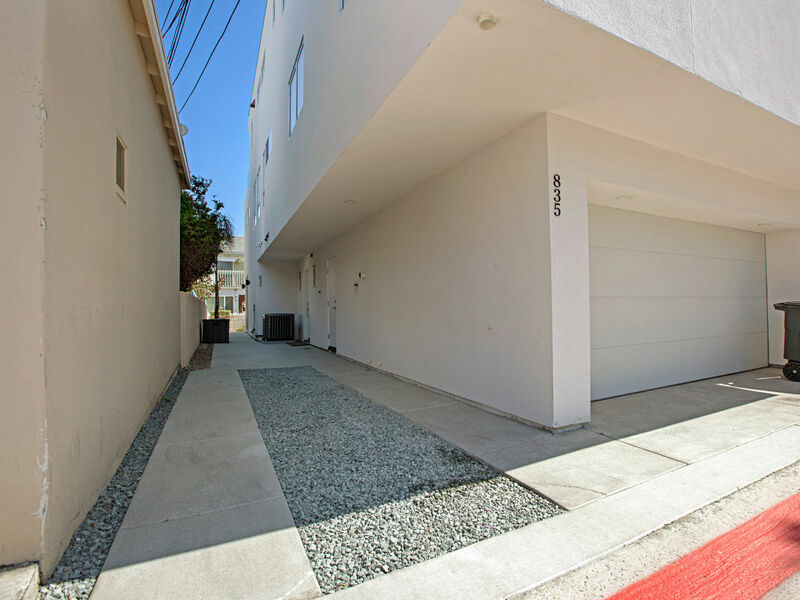 The property has an off street parking space available that can fit a SUV and mid size sedan. Please note anything bigger than a mid size SUV will be hard to park. Oversized cars such as a Tahoe or Escalade will not fit. This beautiful beach retreat is the front home of a two unit property. The third level as well as the back of the property belongs to the other unit. 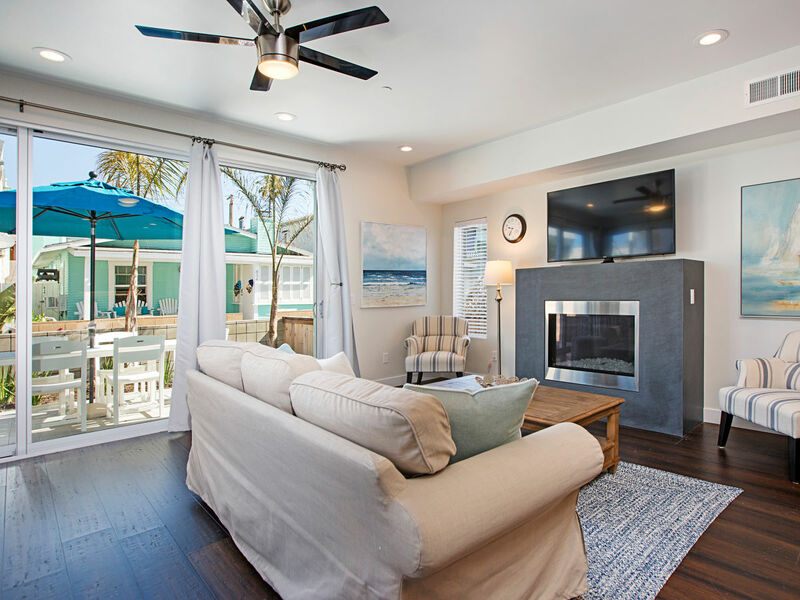 This fantastic home is located in the heart of Mission Beach, walking distance from fun beach activities, conveniences, bars and restaurants.These include, but are not limited to: Santa Clara Point on Mission Bay with rentals of sailboats, kayaks, paddle boards and more. Just down the boardwalk is Belmont Park with a roller coaster and other park rides, video games, two wave houses and restaurants. Starbucks is only 2 minutes walking distance. This is a great place for families but please note that the property has a fairly steep staircase and if you bring little kids they would have to be under supervision at all times. 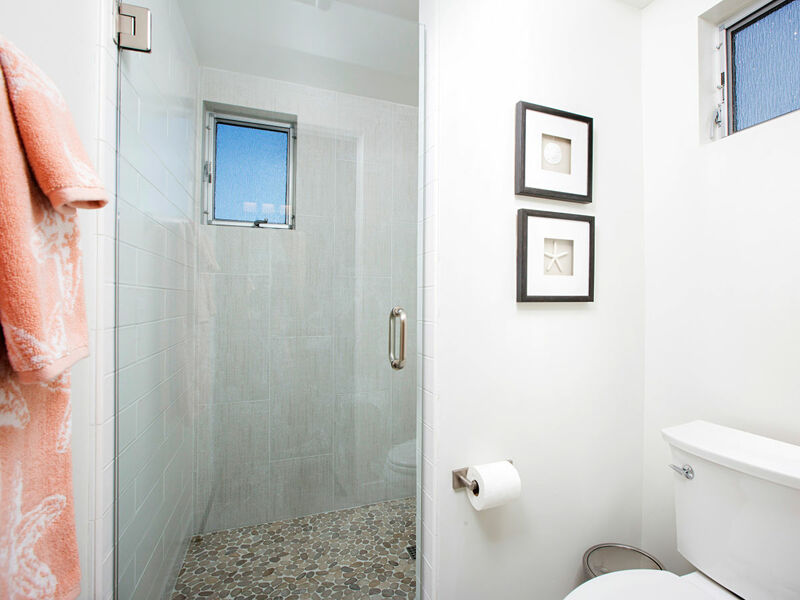 Also, if you are looking to rent for a group of friends, we limit the occupancy to 4 people (incl. visitors) and everyone must be over 30 years old. If you have more than 4 friends in your group, please email us/inquire prior sending a booking request. We have a strict noise policy and need to be assured the property is not going to be rented for any kind of party purposes. 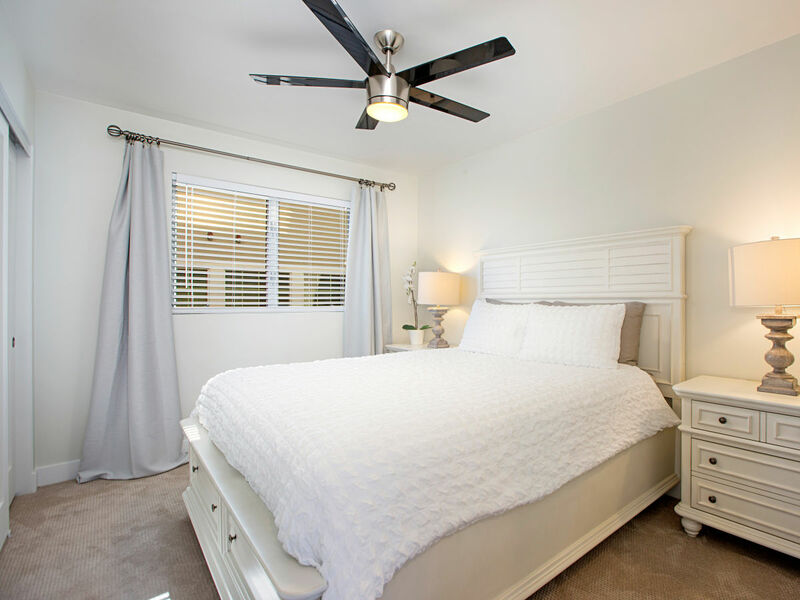 Enjoy the luxury of AC, central heating, ceiling fans and Free High Speed WiFi. To make your stay even more enjoyable, we have provided some games, free Netflix access on two TVs, hairdryer in each bathroom, iron, iron-board, beach towels, beach chairs, boogie boards, a beach wagon, sand toys and plenty supplies such as: laundry, hand, dishwasher and dish soap, toilet paper, paper towels and of course all fresh, spotless and clean linens and bath towels. 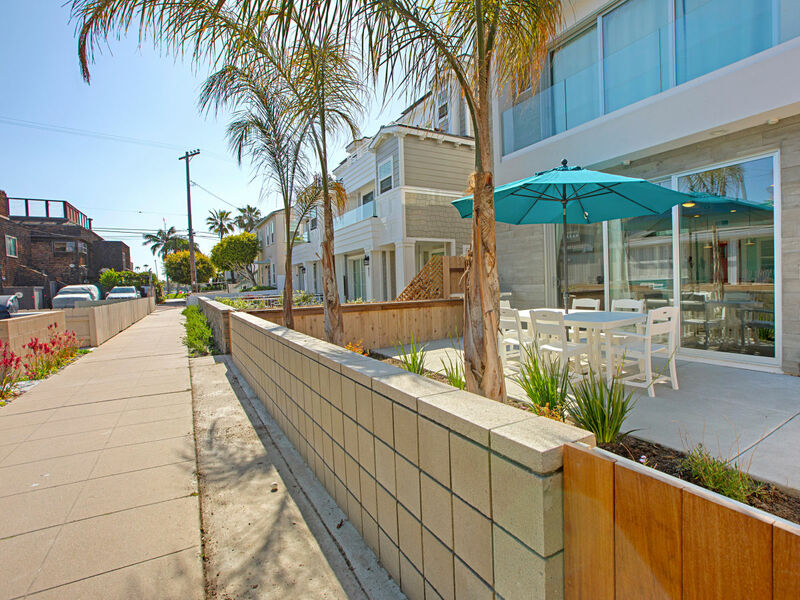 The house is located in the heart of Mission Beach, walking distance from fun beach activities, conveniences, bars and restaurants. 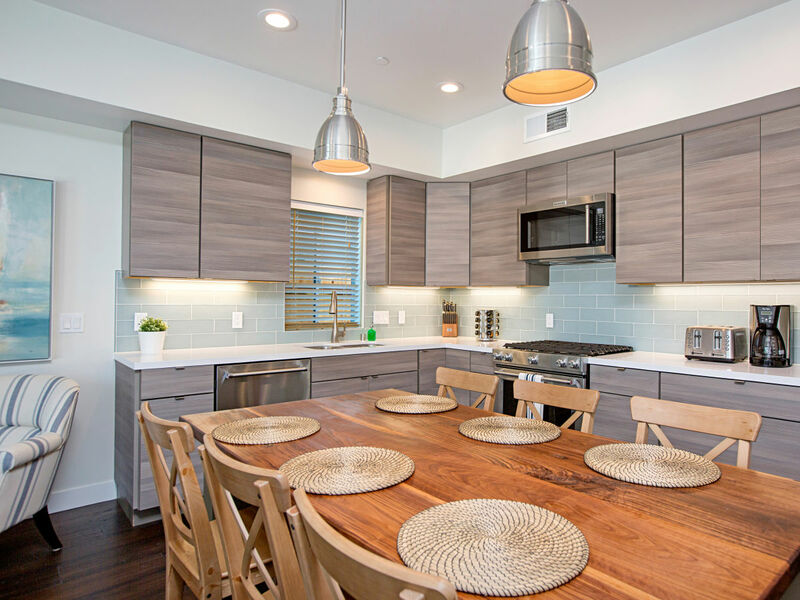 These include, but are not limited to: Santa Clara Point on Mission Bay with rentals of sailboats, kayaks, paddle boards and more. Just down the boardwalk is Belmont Park with a roller coaster and other park rides, video games, two wave houses and restaurants. Best of all, Seagirt House is located midway between public access parking lots, the house 'feels' like a private beach.